The Sopranos prequel The Many Saints of Newark has gained actor Ray Liotta. The actor is currently in the middle of negotiating the role for the upcoming project, which is reportedly set to begin production this spring. Alan Taylor has been tapped to direct from a script written by series creator David Chase and Lawrence Konner. Ray Liotta had this to say about joining The Many Saints Of Newark. "I am thrilled to be working with David Chase and Alan Taylor on The Many Saints of Newark. David's talent is unmatched and the directing of Alan Taylor makes this even more exciting. I respect them both immensely and look forward to making this special project with New Line." Ray Liotta's involvement in the project continues the tradition of Goodfellas cast members appearing in The Sopranos. Lorraine Bracco, Michael Imperioli, Frank Vincent, and Tony Sirico are a handful of the now 27 cast members to appear on the series and now The Many Saints Of Newark with Liotta on board. 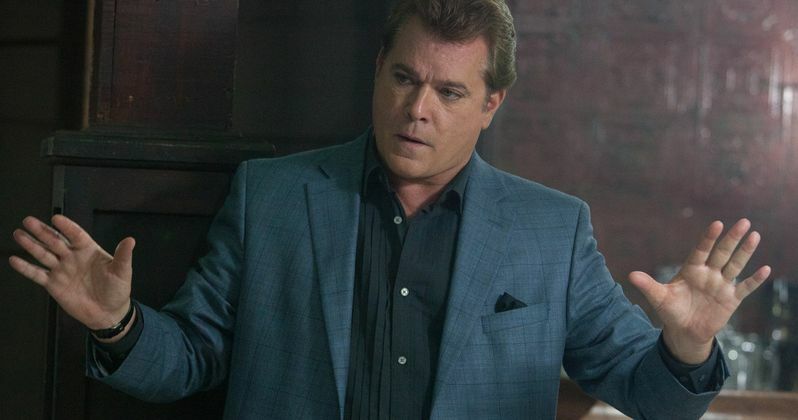 Liotta was once considered for a role on the show, which makes his casting in The Many Saints Of Newark even better. Ray Liotta's role is being kept under wraps for the time being, like most of the details surrounding The Many Saints Of Newark. Liotta joins Alessandro Nivola, Vera Farmiga, Jon Bernthal, Billy Magnussen, Corey Stoll, and Michael Gandolfini, who is playing the young Tony Soprano role made famous by his late father James Gandolfini. The Sopranos prequel movie is said to take place during the Newark riots of the 1960s, which was a time in which tensions between African Americans and Italian Americans were at an all-time high. The Many Saints Of Newark is bringing Ray Liotta back to his roots. The actor starred in Martin Scorsese's 1990 classic Goodfellas as Henry Hill, which is arguably the role that he is best-known for. This is an exciting time for The Sopranos fans who have been waiting for something new from creator David Chase. We're going to go deep into the roots of the hit HBO series and see exactly how Tony Soprano came into his own. The movie has been in the works for quite a while, but now seems like the perfect time to tell the prequel story. The Many Saints Of Newark does not currently have a release date, but the movie will be out some time in 2020. Since production is about to begin, one can imagine that an early 2020 release date is possible. David Chase was originally against the idea of making The Sopranos movie, especially after the death of James Gandolfini. However, after thinking about his own past in Newark, the seeds started to sprout for the prequel. Thankfully, Chase decided against his earlier thoughts and is moving forward with The Many Saints of Newark. The casting news was first reported by Deadline.